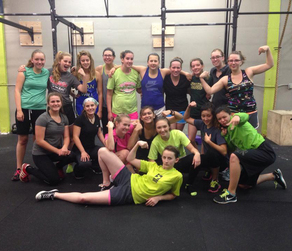 CrossFit Lacey is an official American Muscle Weightlifting Training Center. All American Muscle Weightlifting training centers follow custom programming written by Jared and Dave Fleming. All centers have also either hosted or attended an American Muscle Weightlifting training course. 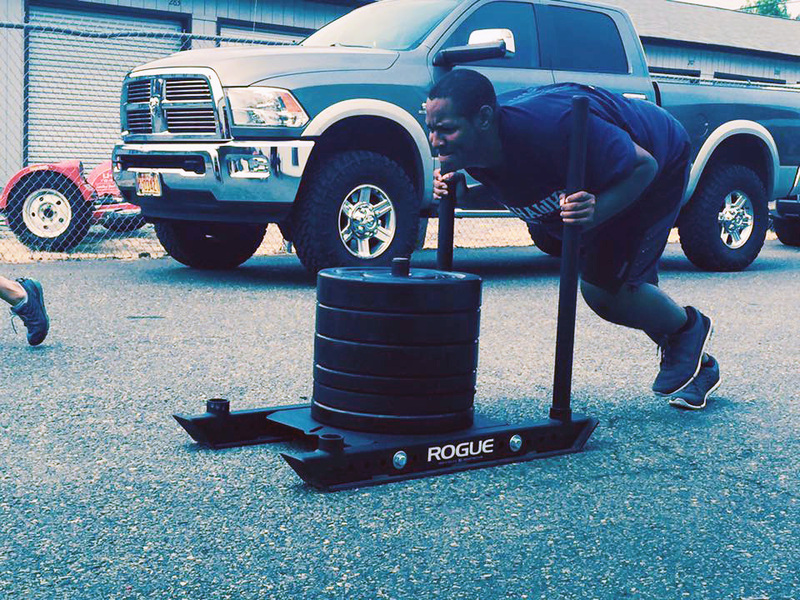 American Muscle Weightlifting confidently backs CrossFit Lacey to provide a sound and effective training environment to help you reach your fullest potential in Weightlifting. Wheth...er you’re looking to compete in Weightlifting or lift better for CrossFit. This program will effectively help you reach your goals. All of the CrossFit Lacey American Muscle Weightlifting Coaches hold their USAW as well as multiple other CrossFit and specialty training certifications. Open gym hours are designated in the middle of the day between regularly scheduled classes. 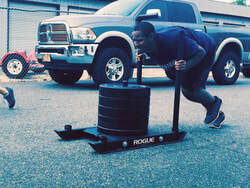 This is a time for members to come in and do skill work, make up a missed workout, or get extra strength training in. A coach is always present during open gym hours to assist athletes. 4-6 days a week. Posted daily. This class is for sports teams. High School, College, Youth, Adult and Semi-Pro sports teams looking for in/off season training, look no further! We work with coaches to customize programming specific to your teams training needs. 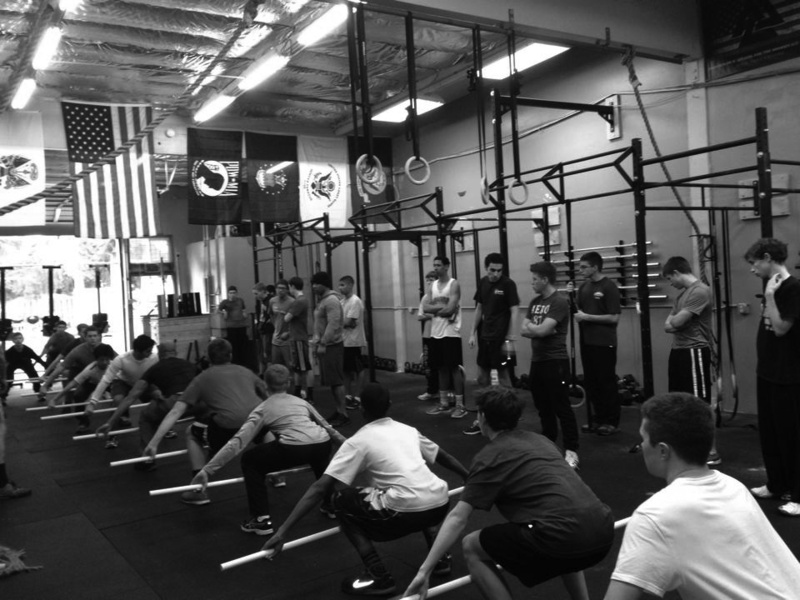 It is our goal to develop your athlete’s potential using various physical modalities and functional fitness. Training Camps can be run over the course of several weeks, a weekend, or a single day. Cost depends on number of participants and training hours involved. Please contact us for more information. This class is designed for 8th thru 12th grade students. The focus is to build strength, core, speed and agility through the use of functional movement which will help athletes perform better at any sport. All experience and fitness levels are welcome to attend. Our coaches will work with each athlete to customize movements to accommodate any prior injuries or mobility issues. Athletes will journal their goals and track progress. The cost is $65 per month. A fun class designed to introduce children to all aspects of physical fitness through the use of functional movement. This is a great foundation for all sports and establishes an understanding of how to work as a team or individual. The kids will participate in activities that make exercise fun including strength movements, rope climbs, gymnastics and bar work, box jumps, running, and so much more! Our coaches love working with kids and use different methods to keep them motivated. This class is open to all kids ages 4-12, the class is divided in half by younger and older children. The cost is $45 a month, or you can purchase a 6 visit punch card for $48. ​This class will be held on Saturday at 10:30am and Thursday at 5:30pm. and is designed based on your individual training goals whether it is specific to mobility issues or injury, improving your Olympic lifts, competition preparation, or just overall physical fitness, we can customize a program just for you. Contact us for more information.